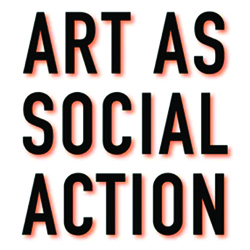 A framework to enhance understanding and evaluation of creative work at the intersection of arts and civic engagement, community development, and justice. This is a living toolkit for social-practice residency programs and will continue to add to this online library over time. Resources include: Guides for Residency Programs Including: 10 Tips for Artist Residency Directors 10 Tips for Community Partners Residency Case Studies, and Sample Documents for Residency Programs. A guide for artists, creative organizers, healthcare providers, educators, funders, policy makers and communities responding to threats to well being. Art & Well-Being is for everyone who wishes to bring about this shift in our culture of health. 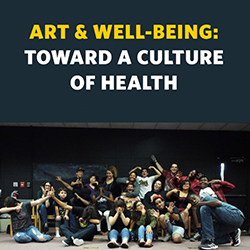 The USDAC published this guide for Citizen Artists who place their gifts at the service of healing, working for both individual and collective well-being, for those who recognize social justice as the foundation of a culture of health. And for medical practitioners, funders, and policymakers who want to understand the critical importance of arts-based interventions. 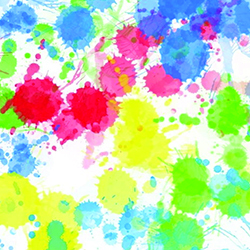 This report builds on and extends a diverse literature that examines the location patterns of the arts and creative industries through analysis of a database of arts nonprofit organizations from the New York State Cultural Data Project. 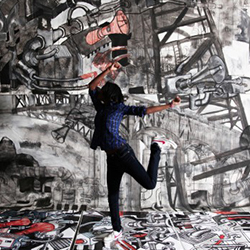 We confirm the link between arts organizations and the urban core and creative economy, but challenge the assumption that arts tend to locate in ethnic and disadvantaged neighborhoods. 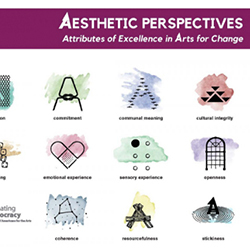 By identifying key neighborhood attributes associated with distinct types of arts organizations, we can better identify potential sites conducive to nurturing additional artistic activity and inform strategies to engage organizations in neighborhoods that are underserved in the arts. 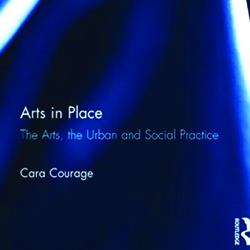 This interdisciplinary book explores the role of art in placemaking in urban environments, analyzing how artists and communities use arts to improve their quality of life. It explores the concept of social practice placemaking, where artists and community members are seen as equal experts in the process. Drawing on examples of local level projects from the USA and Europe, the book explores the impact of these projects on the people involved, on their relationship to the place around them, and on city policy and planning practice.